A small arrangement of long lasting flowers that will make her heart beat faster. 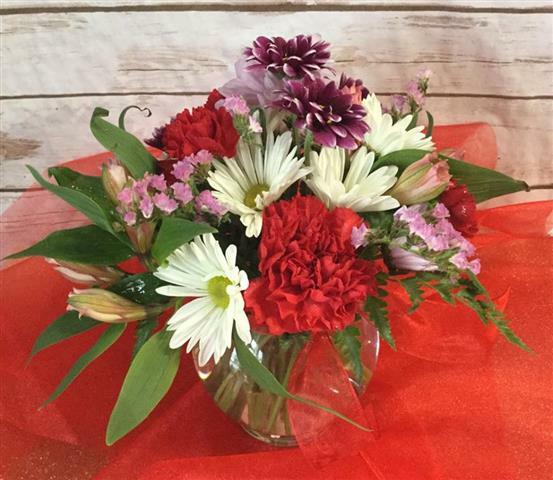 This glass bowl is filled with an assortment of carnations, daisies, alstroemeria, and statice. Perfect for a desk or tabletop. Adds 3 RED ROSES $15 MORE PLUS TAX.